Barbara and Lester were all smiles just after Christmas when they tied the knot in a December elopement ceremony at Nashville’s Riverwood Mansion. After they said their “I do’s,” we couldn’t wait to stroll the warm and sunny grounds and create some happy wedding photographs. These days, weddings and elopements come in every imaginable size, shape, and budget. But no matter how large or small, it’s always so gratifying to witness two beautiful hearts come together as one. I never get tired of this! Barbara looked stunning in her fitted white lace wedding gown. Her long blond hair fell in loose romantic waves. And she added just a touch of sparkle at her ears and wrist, for the perfect formal touch. But of course, it’s Nashville, y’all, so to complete her look, Barbara kicked up her heels in cowboy boots! Finally, a brilliant red rose bouquet created by Elope in Nashville perfectly accented the romantic occasion. And Lester’s red rose boutonniere matched the bouquet and looked dashing on his dark suit. Together, the couple were the picture of southern charm for this intimate December elopement. And last, a word about the ceremony. Sue Davies-Rephan of Elope in Nashville officiated the ceremony as well as coordinated every detail of the event. As a side note, Sue has one of the most eloquent and heartfelt vow readings of anyone I’ve heard. These sweet ceremonies always gives me goosebumps! Even though the ceremony took place near the end of December, Riverwood’s charm is apparent at every turn. The late 18th century mansion offers guests beautiful views, both inside and out. One of my favorites spots is the trellis archway, which always looks beautiful no matter what season it is! 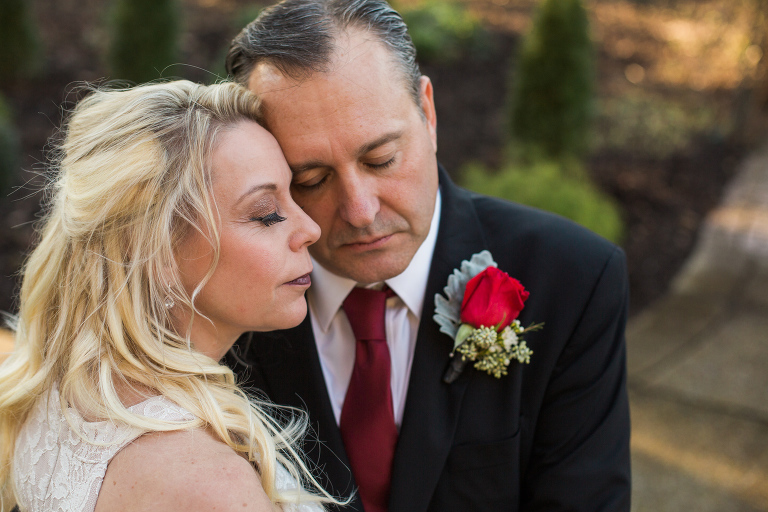 Here are a few highlights from Barbara and Lester’s winter elopement at Riverwood. Congratulations!